SDLP leader Alasdair McDonnell has called for the release from prison of Marian Price.The Belfast woman was arrested after she attended a dissident republican event two years ago. With her sister Dolours, Marian Price was imprisoned 40 years ago for the IRA bombing of the Old Bailey in 1973. During a campaign to be repatriated to an Irish jail, the sisters were force fed while on hunger strike. Their health suffered and they were released early. Two years ago Marian Price was rearrested after a traditional Irish republican commemoration Easter ceremony in Derry. She has been in poor health since. Mr McDonnell said she should be released from prison and if she has a case to answer she should be brought before the courts.The SDLP are the most moderate, middle class party in Ireland with heir leader John Hume, being the primary creator of the Peace Process concept in Ireland. The British Tories who have reneged on most details of the Irish Peace Process have also ignored calls by the partly Unionist Alliance party in their own Parliament, on British Tory policies of internment without trial in British occupied Ireland. Sinn Fein leaders have consistently stated that the Tories since their election have detached from the Peace Process a diplomatic description of the Tories, reneging on British commitments made in the Belfast Agreement, to end the latest episode of forty years of war by the British in Ireland. Those commitments were signed by the previous Labour Government in Britain, to try to bring peace in Ireland. The Tory government since their election have destroyed practically all of the Agreement and tried to provoke another war with re-introducing internment without trial whic was the spark that created the previous forty years of war on the Irish people. Because of commitments made to their their financial election sponsors, of the British industrial arms complex to promote arms sales, their return to war in British Occupied Ireland, is the perfect shop window to the world, particularly on their BBC world service news reports, of British evolving armaments of repression and British state terrorism being used in their counter insurgency test laboratory of occupied Ireland. 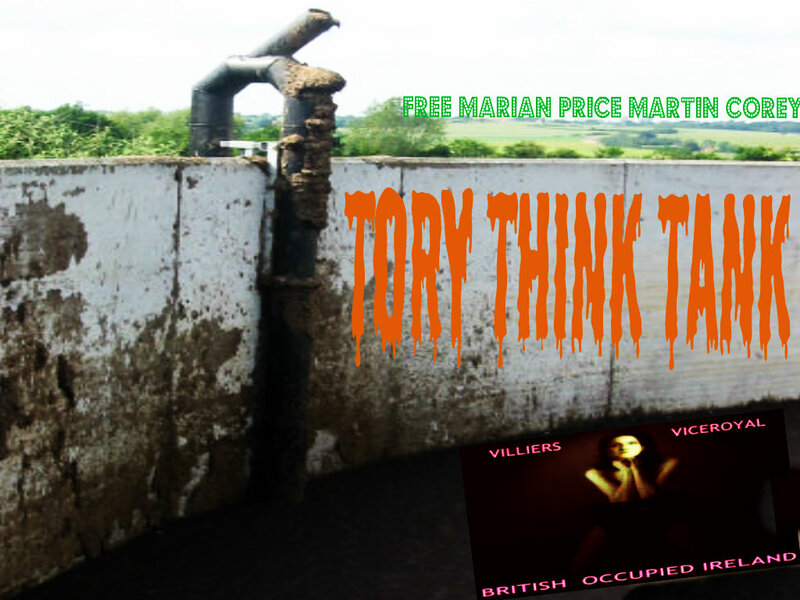 The political internment without trial, of the iconic 59 year old, FORMER Irish resistance fighterS Marian Price and veterans like Martin Corey an old age pensioner, long retired from politics, is the most perfect way possible according to aTory Think Tank, to re-start the British war on ireland.